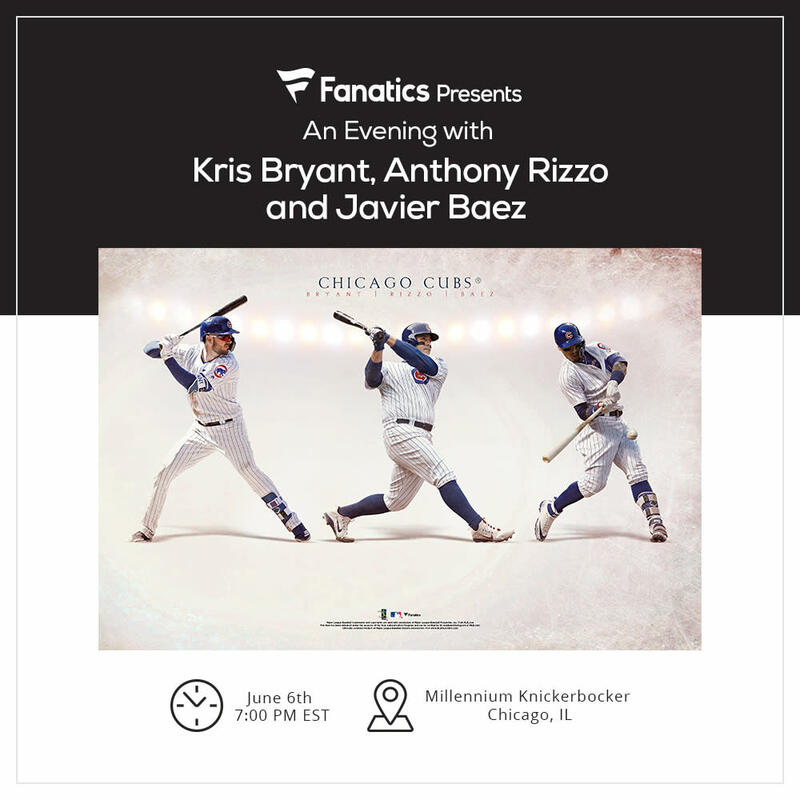 Join Chicago all-stars Kris Bryant, Anthony Rizzo, & Javier Baez as they discuss career highlights during a chalk talk hosted by Ryan Dempster at the Millennium Knickerbocker, Chicago. Packages include access to the cocktail hour, three-course dinner, a professional photo opportunity, and signed memorabilia. Address: 163 E. Walton Pl.